If you are wanting for the perfect cake that is for birthdays, celebrations, and whatever you need look no further. This Funfetti Sheet Cake recipe from Yellow Bliss Road is the perfect one for you! This sheet cake just has about everything that makes a perfect cake. It is moist, tender, buttery, an filled with rainbow sprinkles! Don’t worry adults, this cake isn’t just for the children. 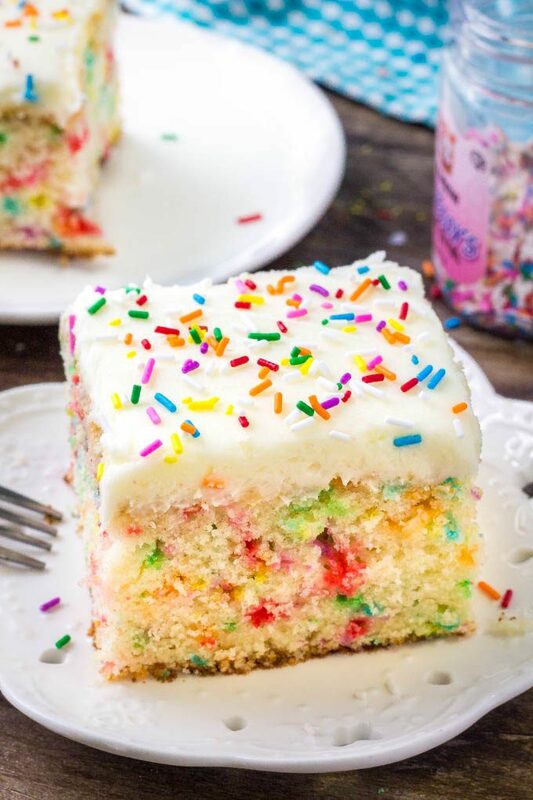 You can definitely happily enjoy a slice of this funfetti sheet cake!